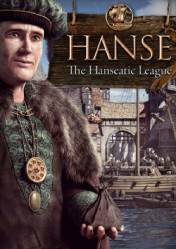 In Hanse The Hanseatic League we will take on the role of a budding merchant during the Hanseatic League era. Previously, our character was a big smuggler, but he was offered membership in the merchant league, either that or spend his life behind bars. Now, respecting the law of international trade, we can travel to more than 30 cities throughout 15th century Europe in the name of the illustrious Hanse League. We will even have the opportunity to explore and establish colonies in the newly discovered new world of North America. We will have the option to trade over 100 different products and help the League achieve untold power and wealth. Politics will also play a very important role, with strategic marriages and the ultimate goal of creating a mercantile dynasty of our own, in our voyages we will find all kinds of goods to trade, and for this we will have a large number of historical ships to facilitate navigation. As we sail there will also be random events that will change the playing conditions, such as disease outbreaks or fires, so the voyages will not be boring. There are no comments yet about Hanse The Hanseatic League. You can be the first one!